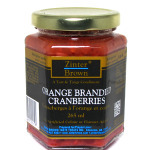 Zinter Brown Mango Chutney Sauce is a fruity Asian condiment intended to stimulate your taste buds and enhance your appetite. This deliciously distinctive blend of peaches, mango, sugar, vinegar, onions, plump golden raisins, ginger, garlic and chile peppers will leave you wanting more. 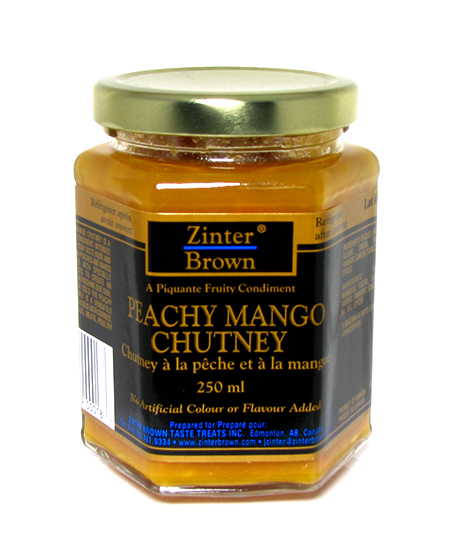 An exotic fruity Eurasian side dish, our Peachy Mango Chutney sauce can be served hot or cold with curries, rice, vegetables, meats, poultry and bread. For a simple recipe using peach and mango chutney, try our Salmon With Peachy Mango Chutney Glaze or Corn Fritters With Peachy Mango Chutney. 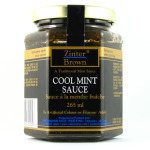 Freshness and quality that's the Zinter Brown commitment. We ship our products internationally, but they taste like they were prepared in your own kitchen. 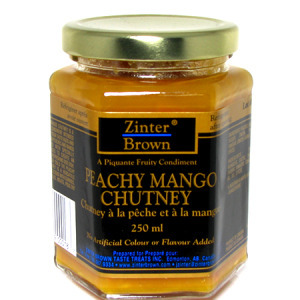 Enjoy our Peachy Mango Chutney or other Zinter Brown products today. Try them once, enjoy them always.